This costume made with two similar sarees. 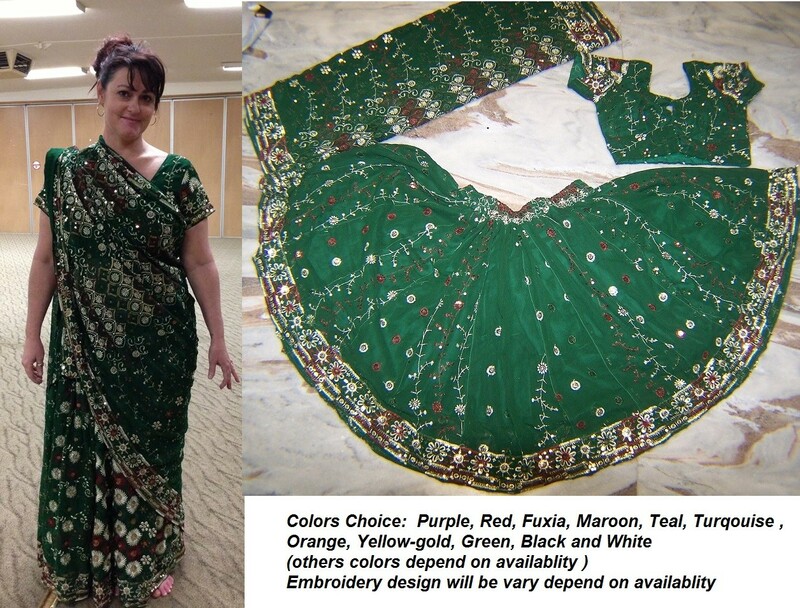 Full 6 yard circle skirt made with one sari. Beautiful Indian choli with 3 - yard veil made with second sari.